The 2014-15 season of Musical Ecologies opens with a program of piano music by composers of the Wandelweiser group performed by Dutch pianist and composer Dante Boon. A leading Wandelweiser interpreter and himself a member of this transnational network, Boon will perform solo pieces by Antoine Beuger, Taylan Susam, Anastassis Philippakopoulos, and two recent works of his own. Privileging space, silence and duration, Wandelweiser music emerged in Western Europe in the early 1990s in response to the aesthetics of John Cage. Sometimes referred to as silent music, the group continues to draw adherents and listeners throughout Europe, the US and Japan through regular public concerts and its publishing operation Edition Wandelweiser. Based in Amsterdam, Boon is making a rare visit to New York on route to a two-day festival of Wandelweiser music in St. Paul, Minnesota. 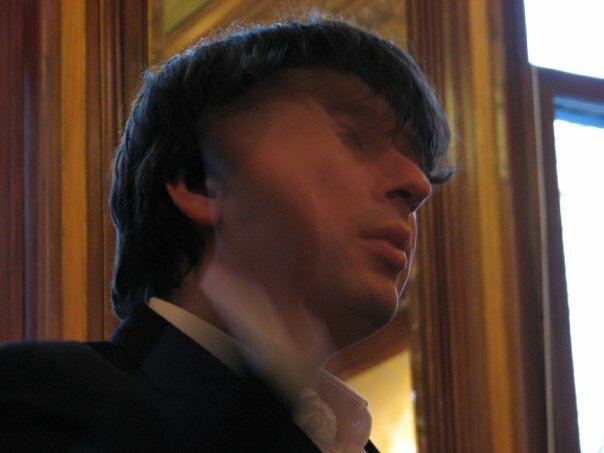 Dutch pianist and composer Dante Boon (b. 1973) has been playing and composing new music from an early age. He worked with, among others, Tom Johnson, Samuel Vriezen, Antoine Beuger, Jürg Frey and James Fulkerson on recording projects and first concert performances. His solo CD cage.frey.vriezen.feldman.ayres.johnson manion appeared in 2010 at Edition Wandelweiser Records to positive reviews. In the making are CD's with recordings of two of Boon's vocal compositions by German soprano Irene Kurka, Morton Feldman's For John Cage with American violinist Andrew McIntosh and chamber pieces by Jürg Frey. As a concert pianist, Dante Boon has appeared at many concert venues and festivals across Europe and the USA. Boon's compositions are published by Edition Wandelweiser. Post a comment — Trackbacks closed RSS 2.0 feed for these comments This entry (permalink) was posted on Monday, August 11, 2014, at 2:47 pm by Dan Joseph. Filed in press release.